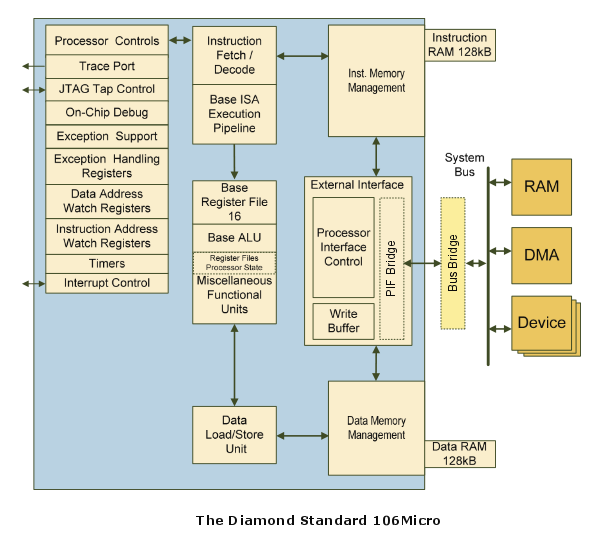 The Xtensa instruction set is designed to meet the diverse requirements of dataplane processing. This 32-bit architecture features a compact 16- and 24-bit instruction set with modeless switching for maximum power efficiency and performance. The base instruction set has 80 RISC instructions and includes a 32-bit ALU, up to 64 general-purpose 32-bit registers, and six special-purpose registers. Using this instruction set, you can expect significant code size reductions that result in higher code density and better power dissipation.